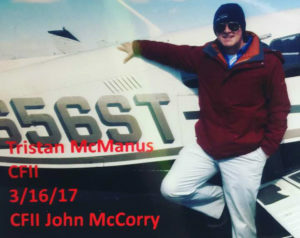 Tristan has been flying for four years and just graduated Bridgewater State University, with a bachelors in aviation science. He has been around airplanes since he was a baby thanks to his dad who was also a flight instructor at BFC back in the 80’s. Tristan is constantly looking to get new experiences in aviation and hope to work for a legacy carrier some day! Clear skies and tailwinds!